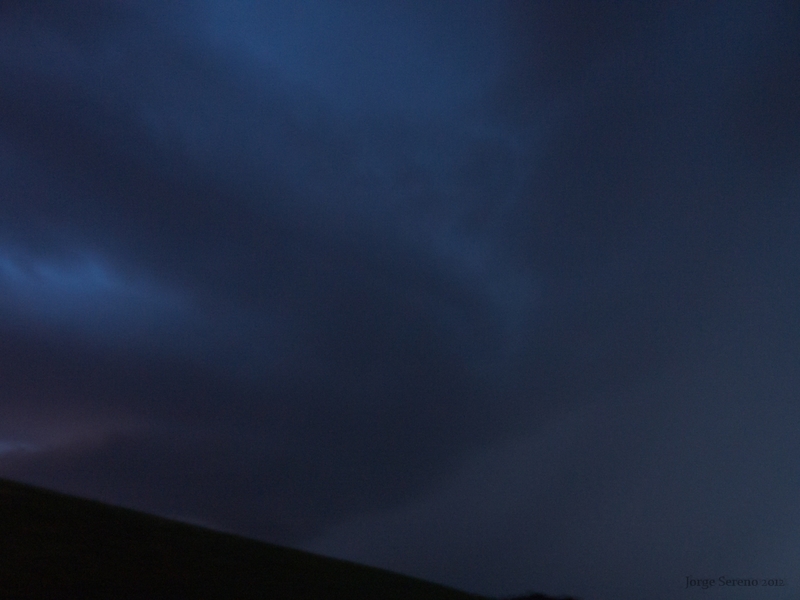 Wonderfull supercell with fantastic wallcloud visited me tonight! Tópico em 'Europa' iniciado por J.S. 1 Ago 2012 às 23:26. Got a message on a Dutch forum from Gent. The guy was not even aware that his pic had all the signs of a supercell. So I calculated where it had to pass in a second. Went straight for that place, 20 minutes east from me. I had never been there in my life, but I found the sport I had in my mind straight away and straight away I realised, inspite of the darkness (22.30 h so sun had just set) that I was VERY right. Look at the pics. 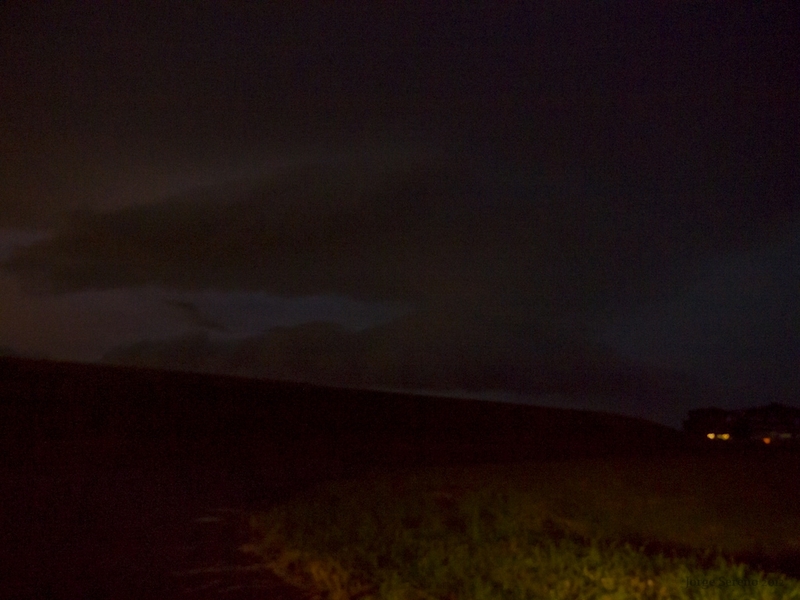 With all the thunder I did not go out to install my tripod, so ISO 5000 handheld. 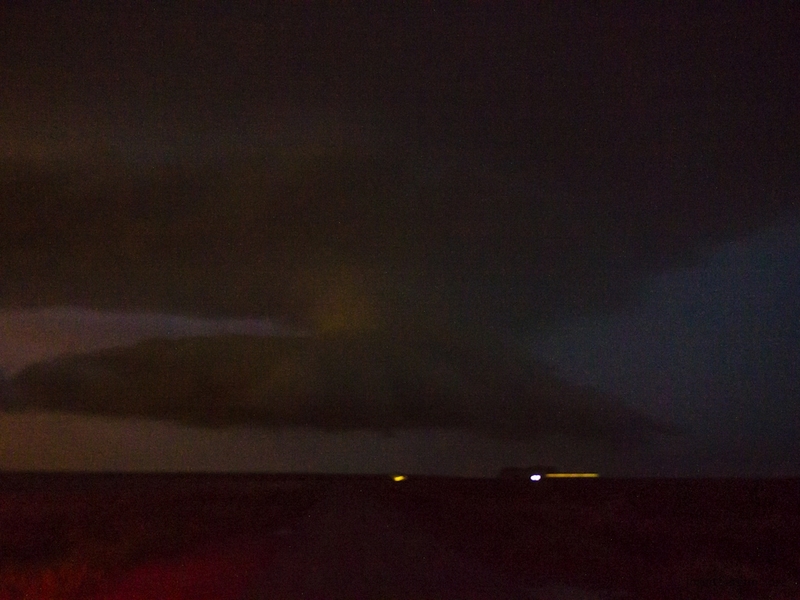 But what a beauty of a wallcloud! I drove away from the dike, to get a better sight (100-200 m) and in the screen of my cam I saw it. I became a bit tensed. As it rained quite hard and I did not think it would be funny to have a rainwrapped tornado nearby...I did not spot a funnel though (I did sunday!). It went straight over me. If it only had happened 2-3 hours earlier...But okey. Happy everstill. Is that a wallcloud over the dike? It sure is, a few hundred metres away from the dike!